My last day in Yosemite, I visited the temporary camp a group of Native Americans from the Miwok tribe set up on the site where their ancestors’ summer village had been. I said hello to a woman with graying hair pulled back in a loose bun. “What event are you holding this weekend?” I asked. I asked about their tribe. I nodded in agreement. “Their hind footprints resemble humans’,” I said. I told her my name, and she shook my hand gently. “Everyone calls me ‘Sis’,” she said. I tried to go to the dance that night, but at 11 p.m. they weren’t even starting to think about dancing yet, and I was falling asleep on my feet. I looked up few Miwok legends about the Bear and the People instead. 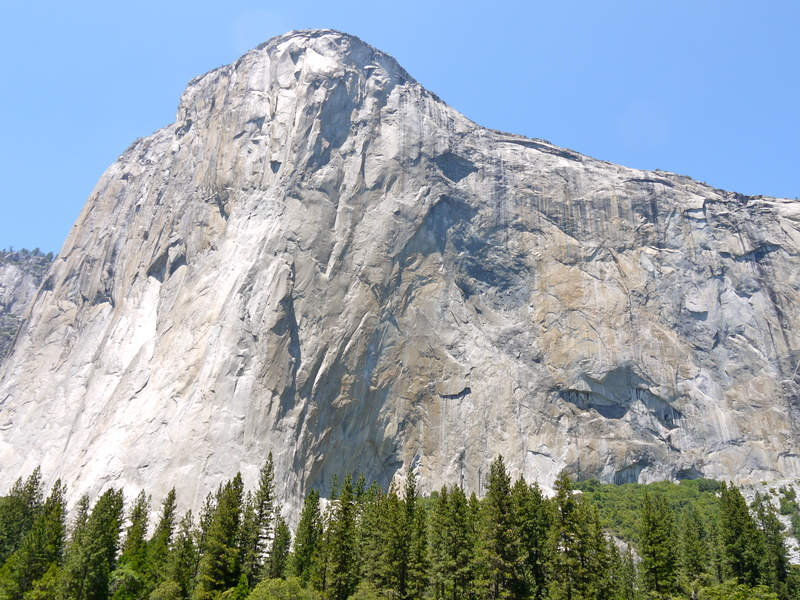 Long ago, as one story tells, El Capitan was a small rock. 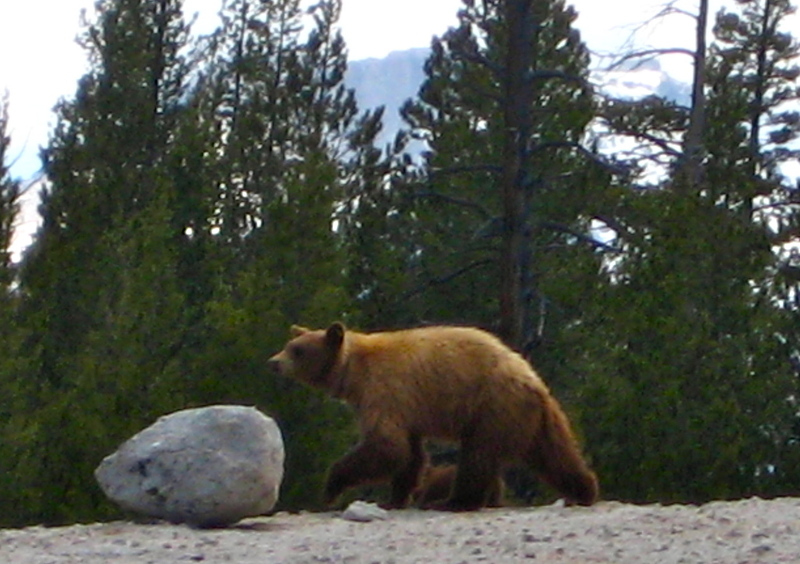 One night a she-bear and two cubs slept on top. When they woke, the rock had become an enormous cliff. They couldn’t get down, and the people of the village weren’t able to rescue them. Finally, the Measuring Worm inched up the cliff. By then the bear and her cubs had starved to death, so he brought down their bones for cremation by their relatives, the people of the tribe.